Smart technology, particularly Virtual Reality (VR), is now advanced enough for it to be utilized in various industries. VR has made huge strides since the time NASA first used a headset and gloves to create a tactile interface using rudimentary graphics. Today's VR has the ability to vividly simulate different scenarios in “virtual environments” that serve to elicit real human responses and emotions. More and more companies recognize its potential and are applying the tech into their operations and services. As a result, the VR market is expected to grow from an estimated $2.02 billion in 2016 to $26.89 billion by 2022. At this rate, you can expect VR to become a permanent fixture in different aspects of our lives in the years to come. One crucial sector that VR is working to improve is the healthcare industry. Duke University’s Walk Again program recently used VR tech on paraplegics who lost motor functions due to traumatic accidents or strokes, with the goal of improving muscle recovery and stimulating motor skills. In the program, patients were provided with VR headsets, an exoskeleton, and a brain-interfacing machine. The VR set-up put them in an environment where they could play soccer. The brain-interfacing machine revealed that this stimulus awakened dormant nerves among the test subjects, with paraplegics gaining more muscle control. In addition to studies like these, VR tech has also been known to help treat people with severe trauma. Doctors are now using an upgraded version of exposure therapy for their patients using VR. In these treatments, PTSD veterans are exposed to virtual environments designed to look similar to the ones that caused their trauma in the first place. Patients then verbally recount this virtual experience to their doctor. Patients’ exposure to these triggers is easier to handle because the conditions are controlled and can be stopped at any time. The Economic Times reports that IT firm Accuweather recently launched its Weather for Life app. Designed specifically for the Samsung Gear VR, this piece of tech literally takes its users to the heart of incoming weather conditions. Users can find themselves in the middle of a raging storm or even a large twister. The system has a complete library of different weather conditions to experience, allowing users to accurately prepare for various weather conditions that they can observe closely from the safety of their homes. According to Steven Smith, Accuweather’s digital media president, you’ll be able to get the precipitation levels for wherever you’re located with precision. Best of all, this is one of those apps that’s available for mass consumption through the Samsung Galaxy smartphone or tablet, which is compatible with the Samsung Gear VR. In offices across the world, VR is now changing the way companies can communicate with partners and new recruits. With VR conference calls now possible, executives and employees are no longer limited to the sizes of their computer screens. 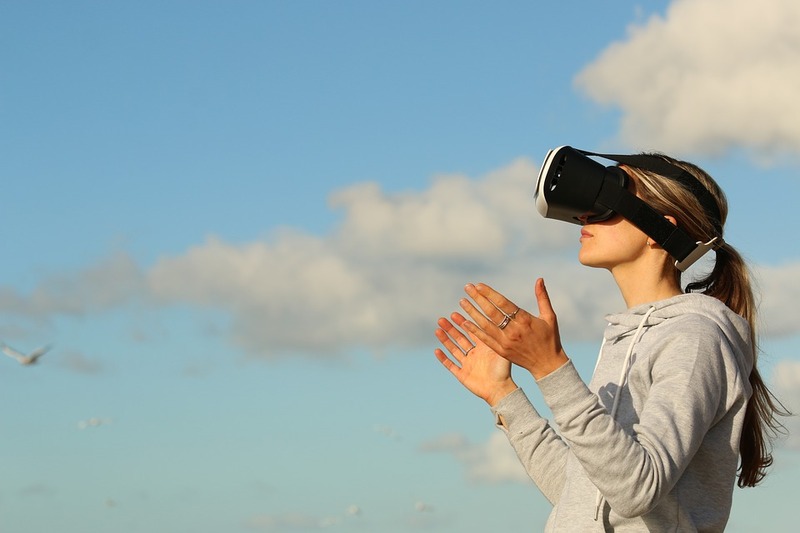 VR Tech enables you to see clients, partners, prospective employees, or colleagues as though you are sharing the same physical space, and the applications of this technology are endless. For instance, VR conference calls allow you to show clients or partners more detailed concepts of your products, services, potential projects, and statistics. This will also encourage a more fluid flow of discussions between parties. On the other hand, conducting job interviews in VR lets HR departments analyze how candidates visually react to certain questions or case studies. This can help interviewers observe how people would actually operate in work conditions. 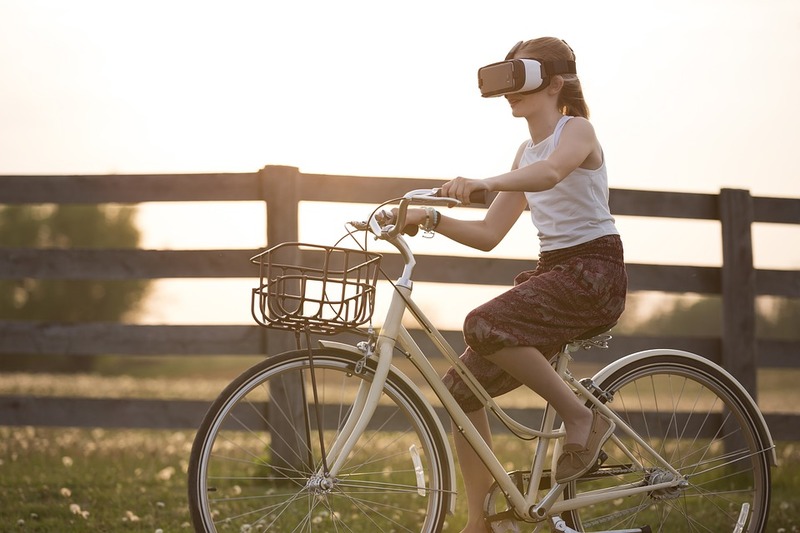 Virtual Spaces’ look into mobile VRfor real estate reveals how it can ably support realtors. Using the technology, they can now pitch pre-selling units to prospective clients using a virtual walkthrough of a unit that has yet to be built. This can expedite the sale process while allowing real estate companies to save on the costs of building and maintaining model units. This same tech is now being used by Volvo, Ford, and Hyundai to enhance their sales processes by offering their prospective customers virtual reality test drives. It spares them the cost of having a working model and allows them to add an additional unit to their supply. In addition to these VR applications in sales, VR is also playing a role behind the scenes?—?this time, in employee training and educating them on safety matters. VR can be used to create scenarios for teaching company and government safety standards. For instance, UPS now employs VR for their basic training for all their package delivery van drivers. It’s considered standard protocol for them to have VR training before they even drive a real van. This helps educate trainees on what to do when driving through a busy street filled with potential road hazards, and makes them aware of the proper procedures when crossing through an intersection. This helps UPS ensure that their drivers are knowledgeable on road safety standards. These VR driving simulations work in tandem with government regulations that similarly aim to make roads safer for all, such as the recently implemented Electronic Logging Device (ELD) mandate. Verizon Connect details how technology like the ELDcan help drivers keep track of unsafe driving habits such as speeding and abrupt braking. This information is then made available to management and the drivers themselves so that together, they can work on improving road habits and practices even after a driver’s training period. Perhaps in the future, these ELDs will be built into training simulations so that drivers can familiarize themselves with the technology early on. VR is also taking history lessons to the next level by reviving important historical events. R&D Magazine featured startup firm Lithodomos, which has digitized major archaeological finds from Greece and Rome into VR. Now, students can go back in time in virtual reality to see ruins like the Roman Coliseum or the more obscure Odeion of Agrippa in Athens restored to their former glory. The company has also developed an option for augmented reality (AR) features in the event that a student actually goes to the sites themselves. This feature offers additional notes on how the real-life spaces were once used. The visual contextualization is an effective way for allowing students to relate more to the material they are learning, especially in subjects as dreaded as history. As you can see, VR may soon become a very common tool in schools, homes, hospitals, and offices. For more news and information on immersive 3D virtual environments and design, be sure to explore our Virtual Spaces.